Keeping your property looking its best isn't easy. Why not lay back, relax and watch us do it? Explore our Lawn Care and Lawn Mowing programs below and contact us for a consultation and quote. Struggle to maintain control of your lawn? Let us help. Our 2018 lawn care programs are designed to do everything you need to control weeds and pests and keep your lawn lush, healthy and green. Get Started - How can we help you? *The bronze mowing plan is recommended for commercial properties only. Pricing is based on customer's property needs. Ask about our garden care program to accompany our mowing plans. Contact us to learn more about our tick control program. We love to work outside. So you don't have to. Your outdoor space doesn't have to be a source of stress. When Jeff's takes care of your landscape maintenance, it's easier for you to relax and enjoy your time at home. Click the button to the right to arrange a quote. Just sit back and let them do all the work. Can't get any better than that. My husband had spent hours fixing our lawn and trying to control all the weeds. Jeff's has taken over now our lawn looks great and my husband can relax. 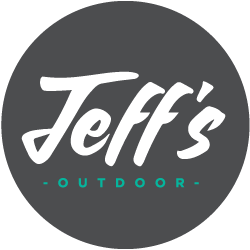 Jeff's outdoor has provided me with lawn care and snow removal for the past year. I have found them to be friendly polite with every interaction with all staff. I would highly recommend Jeff's to anyone looking for the type of services that they provide. I spent countless hours...days...months picking weeds ...never mind the money spent on sprays and other solutions claiming to solve the problem. I called Jeff's and boy did it ever make a difference! We are very pleased with the transformation! I'm so happy that I have found these guys. I must say I'm really proud to have you all in my corner. These fellas work hard and it really shows, Thank you from the bottom of our hearts. My Mom would have been so happy to see her backyard and front of our home so much better, I give these guys a 10. The Jeff's team has been looking after our home and property for several years now. Their dedication and excellent service, looking after our home like someone who truly cares, is second to none! Our home is also our cottage & away place -- we work hard each week to enjoy it on the weekend. Have had Jeff's do a few projects at my house. Work is always done to top notch level and his staff are always pleasant and on time. Priced fairly and the professional aspect really shows in the quality workmanship. I would recommend them for any project!